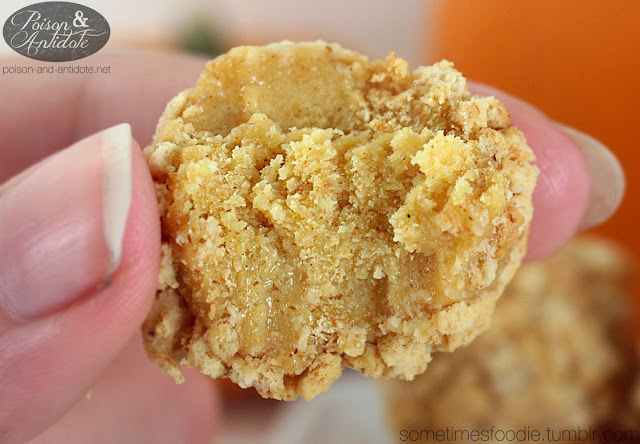 And we're back with more pumpkin 2013 posts! Inside the plastic clam-shell container there are 11, chocolate truffle-sized, cheese balls. It's a little odd that the container is tapered to only allow 11, why not a full dozen? Oh well, time to open this thing up. Once opened, and thawed, these smell a lot like a pumpkin cheesecake. Which makes sense, considering the ingredients for both items are practically the same. Since this is a frozen product the outside graham cracker bits are more sponge-y than crunchy, and the filling has a slightly dry cheesecake-like texture. 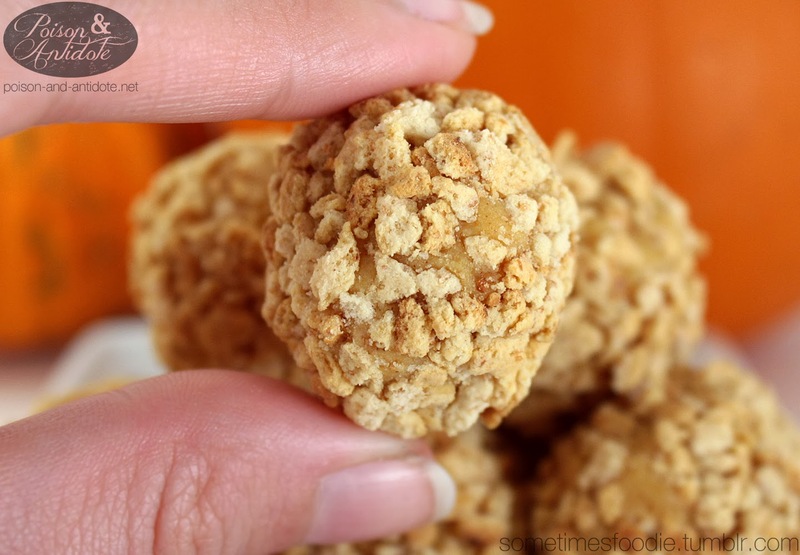 Although these are called "Pumpkin Pie Cheese Bites," they might as well be pumpkin cheese cake truffles. I am not a cheesecake person, I would have preferred a strictly pumpkin pie-flavored truffle/bite, but these are decently flavored and spiced. You can easily tell that this is some kind of pumpkin pie dessert without having to be told. 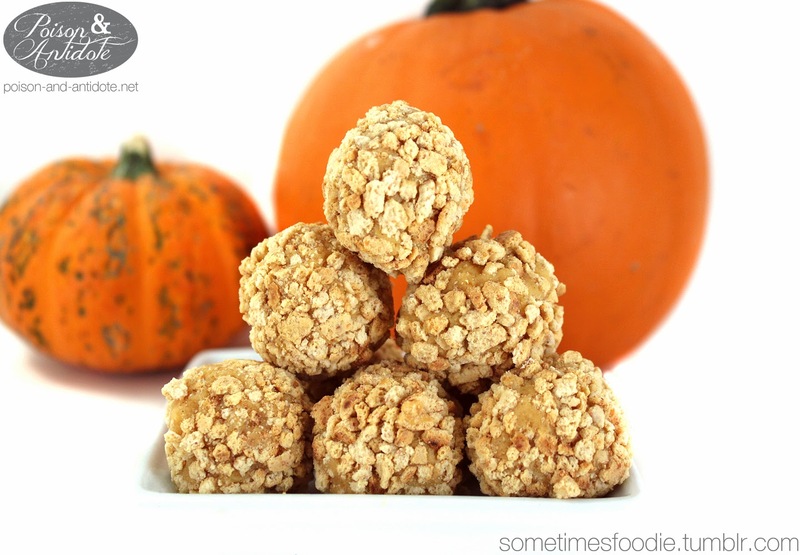 If you like pumpkin cheesecake, you'll love these. 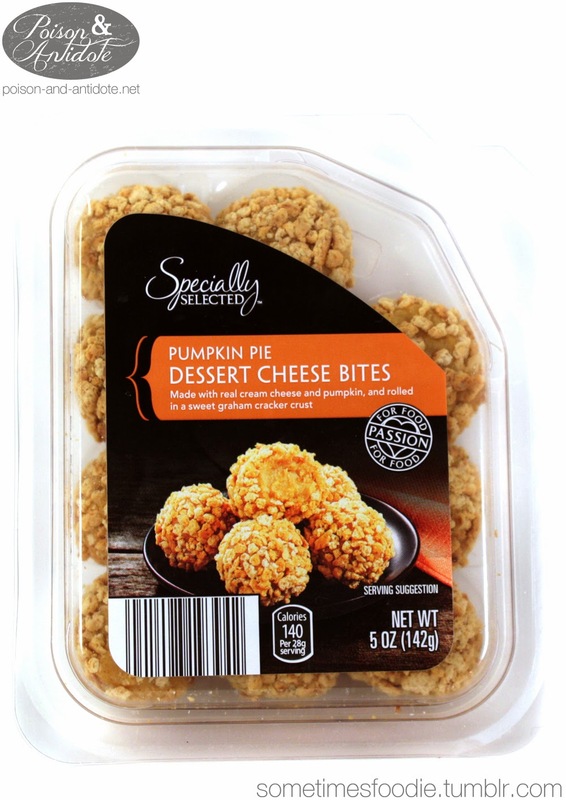 I really like the packaging, and these could be nice to set out on Thanksgiving, but I rather have a legit pumpkin pie. On a Pumpkin Scale of 1-5 (5 being the most pumpkin-y) I’d give this a 2.